Sunday Streams Websites allows you to create beautiful and unique layouts visually, without touching a single line of code. You can easily build your Sunday Streams Website, which uses WordPress, a very popular and powerful content management system. 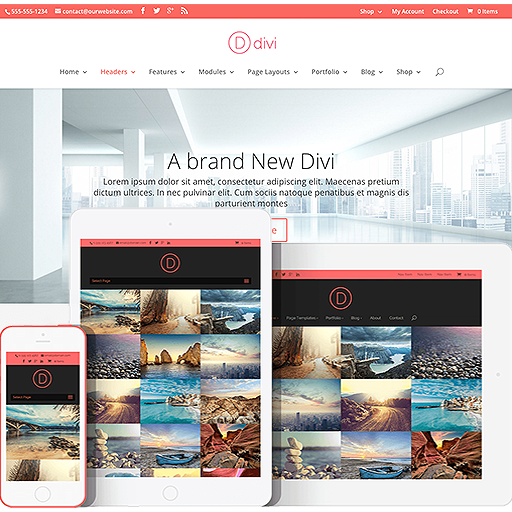 It used a very customizable and easy to use theme called Divi. A website is included with the $49/month Sunday Streams package. 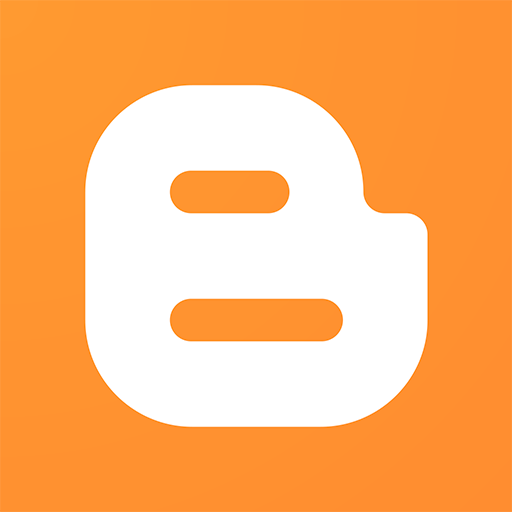 (Use your own custom domain with the $79/month package.) This website was built with this same WordPress system using the Divi theme! 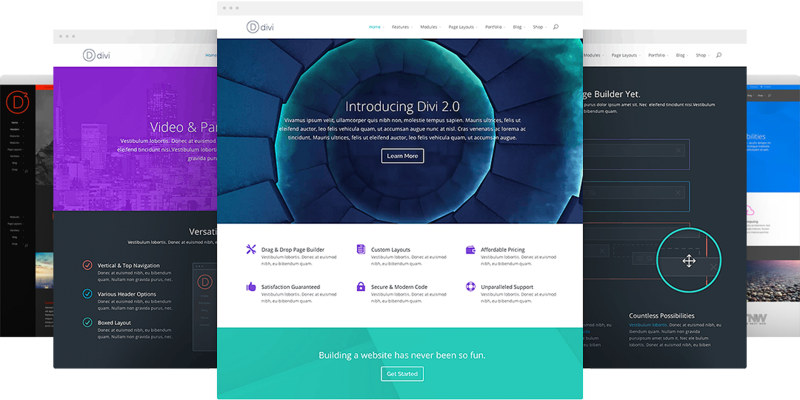 Take a look at this quick 1-minute info video about the Divi theme that we use with Sunday Streams Websites! Easily create a beautiful, engaging website that looks great on computers, smartphones, tablets and more, without learning code. The responsive design is setup automatically and no additional work is required! 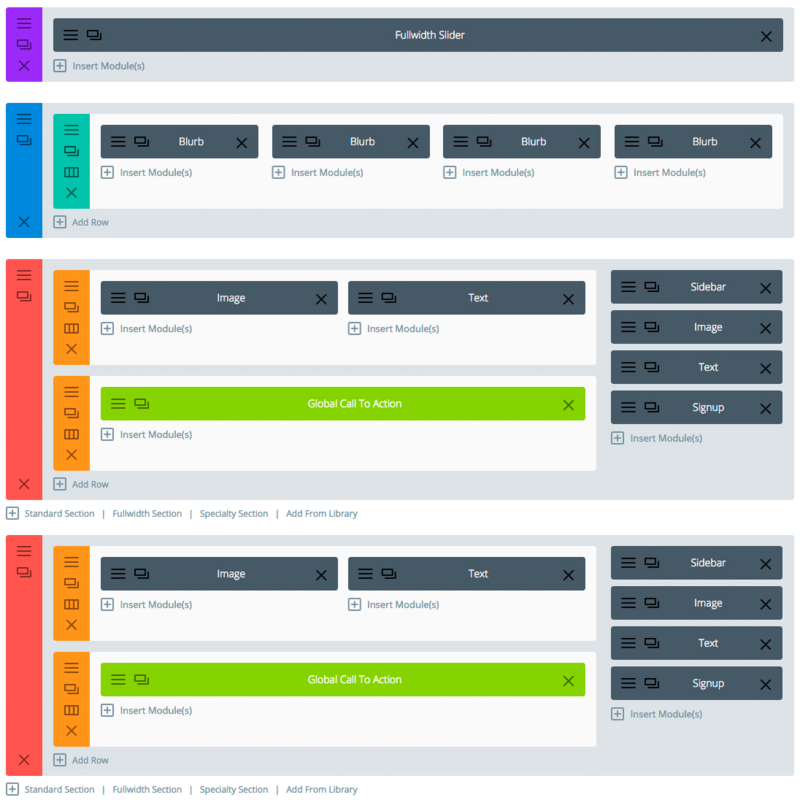 The advanced page builder makes it possible to build truly dynamic pages without learning code. The way it is broken up into sections, rows, columns and widgets, really allows you to understand and edit the layout of your page. Your editing controls are pulled out of the main content area so that you get a clear and concise representation of how your modules fit into your page layout. 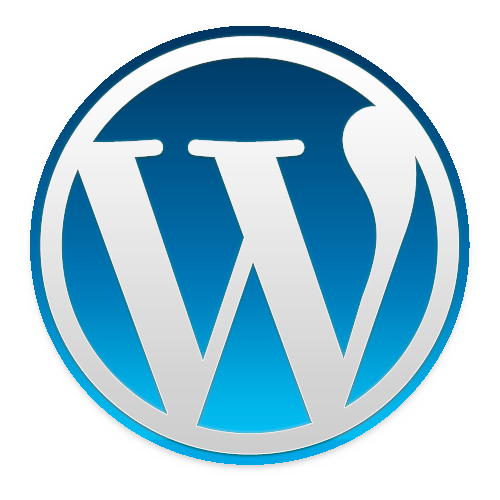 The Sunday Streams Website uses WordPress, the powerful, yet easy to use, platform that powers over 25% of the web. Packed with features and easy to use, you can also optimize your website for search engines, as well as social media sharing! 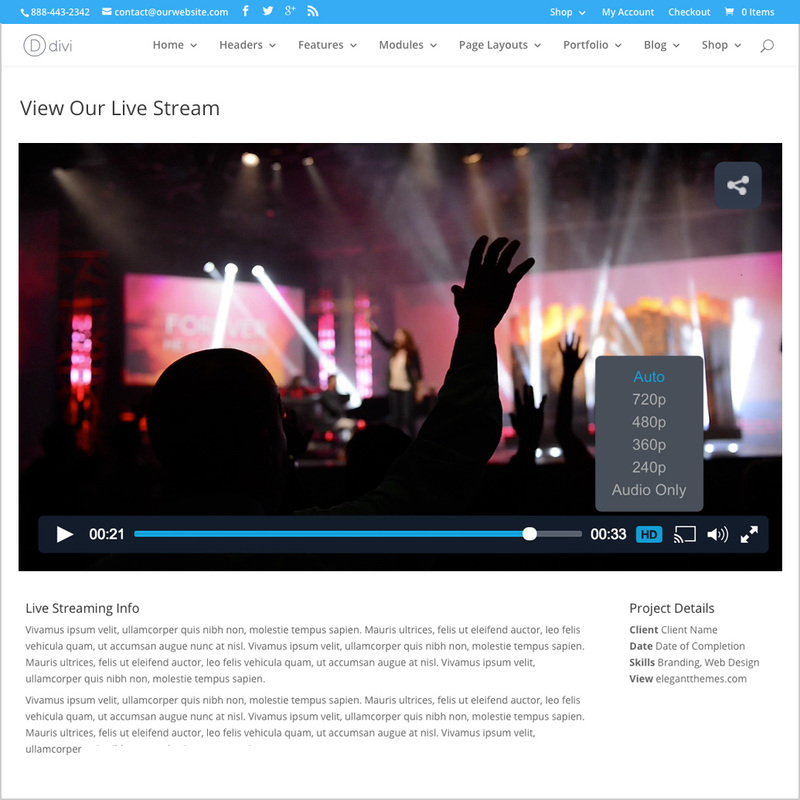 The websites included with our packages allow you to easily embed your live stream and archive videos directly into the website. Additionally, you can embed an audio only player as well.